Mechanisms – For the most part this is an auction game, but there are some other aspects as well. Once you complete the auction for the fish licenses then you can launch boats and hire captains to go fishing. Unique aspects – For the solo variant you play against two captain bots who buy unique licenses and then launch boats as well (determined by a card turn). They provide a good challenge for sure and I’m still trying to figure out how to beat them. Good/not so good – The iconography isn’t the best on the cards so until you get used to it there is a decent amount of rule checking. Beyond that it is a quick playing card game with some good decisions. Do you take a license purely so the captain bots don’t get a license or do you try for the license you really want and hope they don’t drive up the cost too much. 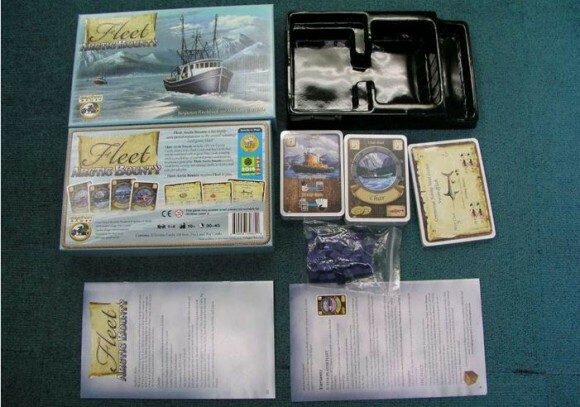 I think the best part is that the boat cards you get are boats, captains and money, all at the same time. Multi-use cards are some of my favorite things in games. What aspect of the card brings the most value? Sometimes it is very difficult to decide. 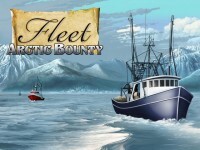 Add a Review for "Fleet: Arctic Bounty"